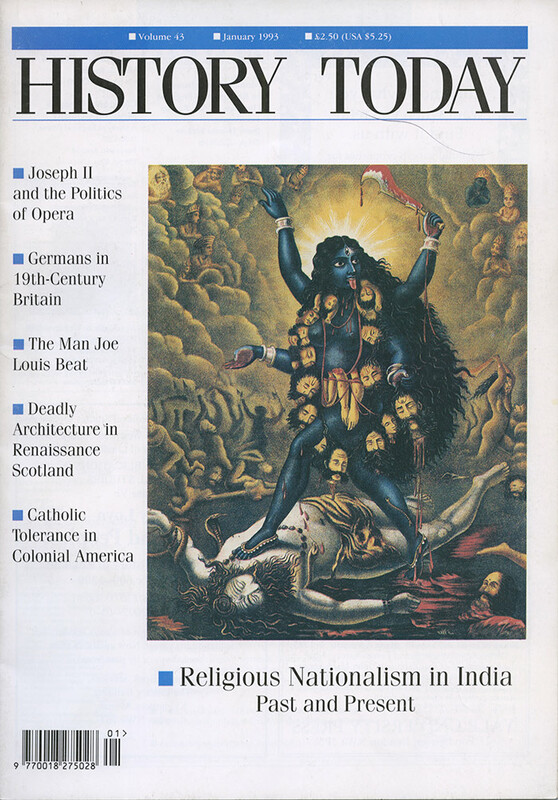 Peter Heehs describes how Hindu revivalism stiffened resistance to colonial rule in British India. Elizabeth Manning looks at how an Enlightenment ruler enlisted opera in his struggle to homogenise and reinforce the Habsburg empire. John Hartsock details the rise and fall of noble tolerance of religious freedom in 17th-century Maryland. Panikos Panayi looks at the influence and settlement of German immigration into Victoria's island. Max Schmeling - Righteous Ring Warrior? Leslie Fox and friends find history is sweet in the Belize jungle. Womaniser, courtier, soldier and pioneer royal architect: Charles McKean investigates the rise and fall of a 'Renaissance man' in 16th-century Scotland. The History-Thieves: Stealing the Muslim past? Akbar Ahmed warns that fundamentalism is misappropriating history as sectarianism strengthens in the Indian sub-continent.